Google’s Matt Cutts announced via Twitter on the night of Friday, June 12, that Google was in the process of rolling out Payday Loan Algorithm 3.0, which is an update meant to go after “very spammy queries,” according to Cutts. Payday Loan Algorithm 3.0 is the third version of the algorithm that Google has launched in the last year. It is not related to two other major Google algorithms that target spam, Penguin and Panda. Cutts announced the Payday Loan Algorithm update was in the works in early May 2013, and the first version rolled out a little over a month later on June 11, 2013. Cutts said this first version of the Payday Loan Algorithm affected about 0.3 percent of search queries in the US, but that percentage was much higher in other nations – for example, up to 4.0 percent in countries such as Turkey, which has a much higher spam rate than the US. Didn’t Google Just Launch Version 2.0? Yes, they did. The second version of Payday Loan Algorithm, titled 2.0, was launched just a few weeks ago on May 18, or about 11 months after the first version became available. Version 2.0 affected about 0.2 percent of queries in the US, again with a much higher percentage in countries that typically experience more spam than the US. Cutts explained that the difference between version 3.0 and version 2.0 is in the signal each one targets: 3.0 goes after “spammy queries” whereas 2.0 targets “spammy sites.” He has not offered any further details as to what the difference is between a spammy site and a spammy query. There are no statistics available yet for the percentage of queries affected by Payday Loan Algorithm 3.0. If you are targeting TOUGH keyword terms with a big return, you need to be paying real close attention. If you are THAT GUY who has hired out link building for part of your seo, I strongly suggest giving us a call to make sure you do not have toxic links and to make sure your website is SAFE. Google is pushing out at least THREE updates right now and will continue for at least the next 90 days before they change it up, yet again with another ” COOL NAME’ Algo update like Panda or Penguin…. Have you ever searched for something on Google and seen a photo of the author next to the search result? This is the result of a relatively new feature called Google Authorship, and if you’re blogging, it’s something that you should jump on immediately. Psychologically speaking, when someone is searching for a piece of content online, they’re going to click on the most attractive result. If you have a picture next to your article, chances are that you’re going to get that click. In addition to generating more clicks, there is evidence that authorship is going to drive search engine optimization over the next year or two. The first thing you’ll need is a Google Plus account. If you don’t already have one (and if you’re blogging, you absolutely should), sign up ASAP. Find instructions online for your blogging platform to install Google Authorship. For most popular blogging platforms (WordPress, Drupal, etc.) it’s simply the matter of installing a plugin and filling out some basic information. You’ll have to verify your account with Google Authorship, which is a simple matter of getting an email sent to your official email address, registered to the same domain name as your blog. Other options include meta tag and link placement. Within a few days of completing this step, your search results will begin to feature your Google Plus default image. It’s important to use a real photo of your face, as Google has complex tracking tools, and will not permit brand logos or other images to appear in it’s search results. Before the latest updates to the Google search algorithms, guest posting was a great way to spread your link to relevant websites without working too hard for the privilege. Unfortunately, many spammers began to notice the importance of backlinks, and would develop entire networks of sites that would post low-quality guest articles on multiple sites, using spinning software and stuffed with keywords. Name recognition – By contributing to a blog outside of your own, but in a relevant industry, you begin to grow your credibility as an industry expert. While the link to your site may not hold much weight with Google, it could drive organic traffic directly to your site… and it could be highly coveted targeted traffic. 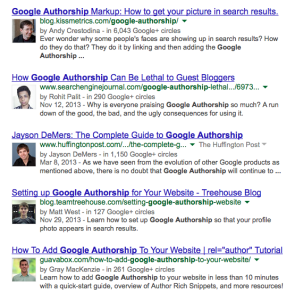 Authorship – As the concept of Google Authorship grows, many blog owners are implementing it to drive their search engine optimization efforts. If you’re guest posting (and thus, getting a by-line) on another site, you’re improving your author rank, which in time will push posts authored by you (both on your own site and others) up the search engine results page. While many industry experts, and even Google employees may be sounding the death knell for guest blogging, there are still some benefits, and I wouldn’t write it off completely. Social media marketing should be an extremely large portion of your overall social media presence. 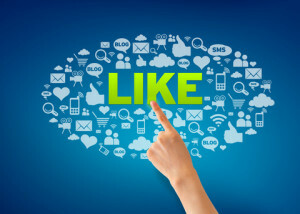 Remaining active on social networks is only a small part of a comprehensive social media program for your business. You’ll also want to develop content that your audience is going to want to share. There are certain types of content which are more “shareable” than others, and learning how to develop this content could drive your statistic through the roof! Top X Lists – Some social media and user-generated content sites have become an incredible case study on the types of articles that go viral, and it’s been proven time and time again that people love “best of” and “worst of” lists. Depending on your niche, these could be extremely easy to create, and pay dividends. Infographics – Information-rich graphic presentations have really become the hottest trend in content creation. An attractive alternative to an article, these are often shared on social media sites extensively, especially sites like Pinterest. Your visitors will have both a video and a piece of written work to share. It makes your site more accessible to those with vision problems. It never hurts to experiment. By learning the types of content that your users love to share, you’ll generate new users, drive revenue, and spread your message. All it takes is one good piece to go viral! Learning to become a better content creator is going to pay off in spades, though a few poorly constructed pieces can penalize your entire site, and negate your efforts. Many so-called “SEO experts” will advise content creators to use tactics from the late 1990’s to improve your website, which can destroy your hard-earned rankings. By avoiding the following pitfalls, you can continue to drive traffic and grow your website. Avoid “keyword stuffing.” In the 1990’s, the site that used the most instances of the word “mesothelioma,” would rank number one on the Google search results page, and the webmaster would make thousands of dollars each day. In the mid-2000’s, other factors were taken into consideration, and it was recommended that your articles contain a 2% keyword density. Last year, the Panda and Penguin updates turned the search world on it’s head, and now, Google is intelligent enough to determine the content of your article from just a few utterances of your keyword. It’s also best to avoid writing “filler content.” These are articles that serve no informational purpose other than to make your website look more active than it is. Some SEO experts have also begun to notice that otherwise high-quality articles are suffering from negative effects on their website rankings due to adding “filler content.” Being verbose for the sake of being verbose is no longer a viable strategy. The key to high rankings in 2014 is simple – creating extremely high-quality, sharable content. Unless a website can convert leads, all the SEO strategies, and marketing techniques are useless. Hence, the need for Conversion Rate Optimization (CRO), which is the process of optimizing landing pages, overall website design and sponsored ads, in order to achieve the best conversion rate of visitors. CRO has gained prominence in the business world, since it is seen as a technique for increasing sales, without raising the expenditure on advertising campaigns. Conversion rate optimization is mainly to do with compelling and relevant content. For instance, PPC ads should be highly relevant to the search query and targeted audience. Secondly, when the ad is targeted for long-tailed keywords, the audience will be people who are in the last stages of the buying cycle. Relevance should also be maintained between the ad and the landing page, since the visitor will be looking to see if the page can deliver whatever was promised in the advertisement. CRO is not only to do with improving elements that are at the end of the marketing funnel such as forms and buttons, but also to do with the choice of right keywords. By selecting the right keywords, it is possible to obtain a highly targeted viewership to the website. Hence, simply increasing traffic is not going to achieve much. However, acquiring a specific type of traffic of targeted visitors will make a major difference. Therefore, the CRO process will start with the most relevant keywords to appeal to the correct type of audience. For instance, if you are selling chrome wheels for cars you want people to come to your site that are interested in these wheels. You do not want most of your traffic that is coming to you site to be looking for an office desk chair instead. With conversion rate optimization it is possible to improve conversion rates, which will lower the per conversion costs, improve ROI of the sponsored ads, and pay per click campaigns. CRO involves resources and time of the business, or it can be a paid service from a CRO vendor. 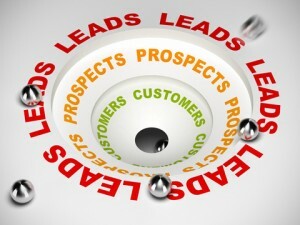 However, the amount spent on CRO is the most cost effective way of improving sales. All activity happening on a website can be tracked with certain tools. Such tools are therefore excellent for monitoring performance and making the necessary changes wherever required. 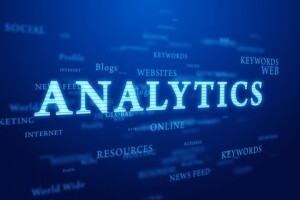 The process of web analytics involves collecting, measuring, and analyzing activity of users, which ultimately helps in achieving the objective of the website. Without web analytics, there is no way of knowing how the website is performing, or whether the various strategies employed for promoting the website are working or not. Therefore, web analytics is indispensable for planning and executing SEO, marketing, and website design strategies. Since web analytics is a way of measuring various performance metrics, the website should have some specific objective, against which the performance can be measured. The function of web analytics will also differ depending on the nature of the website. For instance, if the website were selling a particular product, then its main objective would be to increase e-sale transactions. What are the visitor’s intentions? Hence, for such a website, web analytics would be used to study the activity of different visitors to the site, the performance of the landing page, whether SEO campaigns have showed any improvements in sales figures, and calculating the ROI. If the website is a blog, then web analytics would come handy in knowing the number of visitors, how many are return visitors, how many visitors have subscribed to the RSS feed and so on. What type of people are visiting the site? What is the location of each visitor? What is the activity of each visitor on the site? When are people visiting your site, and which days have the heaviest traffic? What device is used by the visitor to browse the site? Pay Per Click is one of the most effective sponsored advertising channels. In this type of advertising, the ad is placed on the pages of search engine results, and the advertiser only has to pay whenever someone clicks on the advertisement. 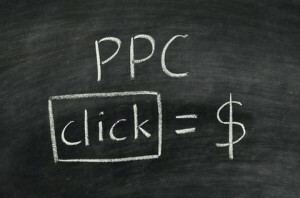 Here are the main advantages of Pay Per Click advertising. Since the advertiser only pays when a prospect click on the ad, this form of advertisement has the best potential of ROI. The advertiser is literally paying only for results, since there are no fees for placing the ad, which will also be generating awareness. The advertiser has better control over the advertising budget with Pay Per Click. The advertiser can decide how much to spend on particular keywords while bidding, and what keywords can be chosen to improve traffic and meet the marketing objectives. Pay Per Click is the fastest method for driving traffic to a website, compared to SEO campaigns and other strategies. The advertisement immediately appears on the search engine result page when the campaign goes live, and on clicking the ad, the visitor is sent directly to the website. Pay Per Click campaigns can be designed to suit particular marketing needs. For instance, the advertiser can select a particular period, for the ads to appear. Secondly, the advertiser can decide what the ad is worth, and bid only for that amount. Pay Per Click also provides various targeting options, and better flexibility to track the performance of the ads. The advertiser can target audiences by demographics, location, language, age gender, and even time of day or week. Pay Per Click campaigns are suitable for all size of businesses. 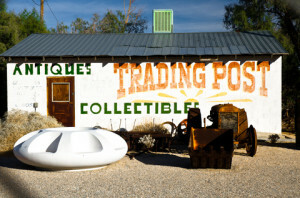 Even a small business owner can optimize the advertising campaign by placing a winning bid on highly placed keywords. 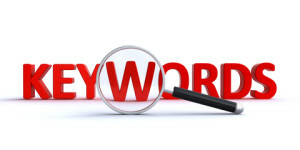 A large organization can select keywords specific to their needs. 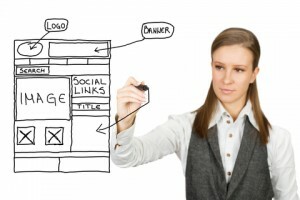 In many ways website design is still in a learning stage. Though many website designers have learned what works and what does not through trial and error, there are no clear cut guidelines for this field. One reason for this is the fast pace at which technology is changing, ensuring that the ground rules also keep altering. However, in spite of the constant flux in technology and the needs of marketing departments, there are a few elements that should be considered integral to all website design. The website design should direct the eye of the reader to the most important information quickly. This can be achieved by starting at the top left corner where most readers first look and providing text and graphics that help guide the reader to the next bit of information. For this website designers can use color, font size, and white space. Most readers are attracted to bright colors, so the website design should use these colors for the most important information being presented. For instance, the USP of the product as well as the action to be taken should be in bright colors, while the disclaimers and basic product description can be in softer colors. Another way of assigning importance to a particular piece of information on the website during the design process is to use larger size for them. The most important text can use large size font and larger pictures or images can help draw attention to themselves. While color and size are used to draw attention to important information, they need to be presented in contrast to the less important information. As such a marvelous and type of website design requires the use of pale colors, small sizes, and white space. The white space adds a touch of class and provides relief as well. This space assures the reader that they are not being hustled but rather soothes them. This is essential to build a level of trust in the brand and product. While space can be in actually white or any other pale color. It is used between lines as line spacing, between the text and images to demarcate them, and also in other areas of the page. With a plethora of devices now available to access the website, the design has to take into consideration the varying screen sizes that will display the website. To ensure that the reader is not inconvenienced by the website design, the majority of the design should be linear. This will ensure that the site looks fantastic not only on a large computer monitor, but on a tablet. While it is technically feasible to create a website design with a lot of different details, this can reduce page loading times and lose customer interest. As such the best website designs have simple elements that can attract and hold the attention of the viewer long enough to convey pertinent information. The design should rely on only a few elements to grab the attention of the viewer. My good friend Donnie at boastingbiz.com just posted a monumental and clever write up pertaining to this subject and I completely agree with his point of view. It appears to be the time when many SEO experts discover that either SEO or social media or link building is dead and marketers and businesses need to focus on one of the others or a new term such as ‘link earning’ or ‘link acquisition’ in order to grow their business and increase earnings. As Donnie rightly points out, all of these articles are optimized for the ‘dead’ terms and ensure that they are ranked high by Google. While some articles are based on single studies, others are the result of the expert’s experience in the industry. All of them also refer to Google’s search engine analytics in some way or the other; they throw in words such as Panda and Penguin, apart from discussing trends of returns. Whether an article has plugged SEO or social media or is berating link building, they all ultimately fail to distinguish between white hat and black hat SEO, social media, and link building techniques. Of course, Google and its anti-spam team are working to ensure that the search engine results are more relevant to the users. This has been an ongoing effort and Google can be expected to continue with it. Every time Google places checks to filter out the black hat SEOs, they find loopholes to make their way in and Google invents new filters. However, this is no indication that SEO, social media, or link building is dead. That would be to throw out the baby with the bath water. Instead, the new steps taken by Google only means that content creators need to ensure that the content they provide is meaningful, relevant, and interesting or unique. These white hat methods capturing the interest of online consumers will continue to be critical, perhaps more so as Google and other search engines succeed in building more efficient algorithms to filter out the bad apples. Whatever the name – SEO, social media, link building – these online activities are essential for building an online brand presence for most businesses. Moreover, they need to be used in conjunction with each other, depending on other specifics such as the target audience, the product, the size of the business – national or local, and so on. Research has consistently revealed that more people are online for longer using a greater number of devices. Additionally, consumers are increasing preferring to make purchases online as improved technology has made this more secure and easier. Most of these consumers will depend on a combination of search engines, social media recommendations, and links to locate products and services they need or want. The final argument that SEO Dallas, social media, and link building are not dead comes from the same source the detractors have been citing – Google. Google obviously does not believe that people will stop using search engines, social media, or links to locate businesses, services, or to research information. That is why it continues to pour its resources into fine-tuning its filters.